FNPF and ATH chairman, Ajith Kodagoda. 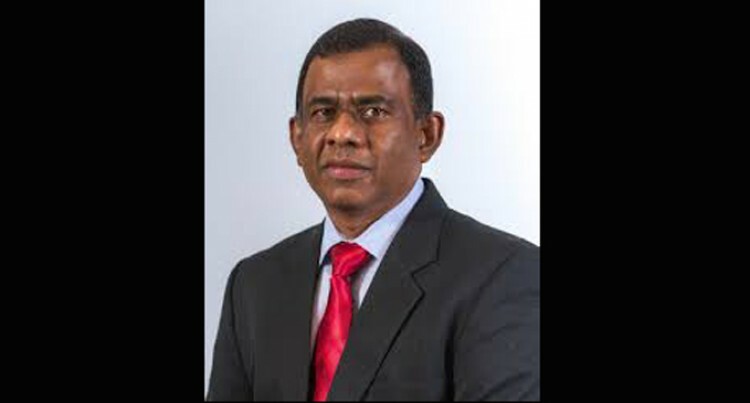 Fiji National Provident Fund (FNPF) increasing its shareholding in Amalgamated Telecom Holdings Limited (ATH) will help consolidate the Group’s telecom company operations and improve efficiencies. This covers the three ATH operating companies, Vodafone Fiji, Telecom Fiji Limited and FINTEL. It is envisaged that consolidation and a focused approach to the operations will improve the balance sheet and also returns to shareholders of ATH, which includes the Fiji National Provident Fund members. The win-win situation has been outlined by Ajith Kodagoda, who chairs the boards of both FNPF and ATH. Government this week partially divested its shares in ATH reducing its shareholding from 34.6 per cent to 17.3 per cent. FNPF bought $74 million worth of shares, increasing its shares from 58.3 per cent to 72.6 per cent. Mr Kodagoda said by one entity having the controlling interest, they would be able have a clear and a focused strategy going forward. He stated this will eliminate duplication of cost structures and people which will in turn reduce unnecessary costs. Mr Kodagoda highlighted when companies are run individually, there are competing interests at play which is not necessarily good for the group as you end up fighting with each other. “In the long run, the intention is to reduce structural costs which adds no value to either the consumer or the shareholder,” he said. “In the long run there is no need to have so many boards running one company? “Our responsibility will be to deliver value to our consumers, reduce communications costs, increase service levels and improve returns to our shareholders. Mr Kodagoda said it did not make sense for Vodafone, TFL and FINTEL to be competing with one another. “We should identify which is the best company to deliver a particular service and we should only send that specific team to offer this service,” he said. Mr Kodagoda said consolidation does not necessarily mean redundancies. “We hope to use some of these resources in other areas of operations,” he said. “Both ATH Vodafone with the support of FNPF are looking at expanding their operations outside Fiji into the Pacific. “We already have expanded in to Kiribati and I can say we are having discussions with some other telecom companies in the region. In terms of what the investment means to FNPF and its members, Mr Kodagoda saiddividends that are going to come through will come to FNPF. “That will improve value for the members both in terms dividend and investment diversification,” he said. Mr Kodagoda said discussions on consolidation have been ongoing for over five years, so this is a result of lengthy negotiations. The first step towards the consolidation process was when ATH shares from Cable & Wireless in FINTEL. The second was FNPF buying shares from Vodafone UK in Vodafone Fiji. Mr Kodagoda further thanked the Prime Minister Voreqe Bainimarama and the Minister for Finance Aiyaz Sayed-Khaiyum, the Management team at ATH and Investment team at FNPF for their respective roles in the successful execution of the transaction. “Telecommunication is one of the most important sectors in the country both in terms of economic terms, security and growth potential,” he said. “And for the Government of the day to trust FNPF with this investment is a vote of confidence. “We are comfortable in having Government to be a shareholder as they will still have a share holding of over 10 per cent. INTEVIEW WITH THE SUN: FNPF and ATH chairman, Ajith Kodagoda. What plans are in place for ATH going forward? We are looking at opportunities going beyond Fiji because we believe we have built up enough local skills – our own people – and so we are now looking for challenges outside Fiji. Given we now have the people and we have the knowledge, we need to look at what is available outside Fiji. We don’t need to restrict ourselves in the Pacific – there is nothing wrong with us looking outside the Pacific if there is opportunity. We have the appetite and we are building a specialised team now in telecommunications operations and investments. What plans are in place for FNPF going forward? We are obviously working with Government on their privatisation programme and to see what opportunities exist. For FNPF members we are looking for long-term investments because these institutions need to have stable returns for the next 50 to 60 and even further. If there are any opportunities we will consider these. Government has been talking about the Fiji Electricity Authority and Airports Fiji – so if there is a good opportunity which satisfies the requirements of both the Government and FNPF, we will look at all options. Diversification of the investment portfolio is important for FNPF because we have bias towards investments in the hotel and tourism sector.